It is said that good things come in small packages. That is so true especially for the blueberry. This little fruit can boost your brain, soften your dry skin, and even prevent cancer. What can be even more great reasons to enjoy blueberries? 1. Healthy immune system. According to a study blueberries have more antioxidants than any other fresh vegetables or fruits tested till today. Antioxidants strengthen immune system by neutralizing free radicals introduced into body by pesticides toxins and smoke. Most of the berry’s antioxidant power comes from the pigment which is responsible for their blue color. 2. Brain stimulator. Pack mix of a dried-blueberry trail for a snack to get your brain worked harder and smarter. One study suggests that blueberries slow down age-related memory loss, thanks to so called flavonoids- its abundance antioxidants. 3. Skin will vivify if you mix 2 teaspoons of puréed blueberries 2 cups brown sugar and 3 tablespoons lemon juice. Blueberry’s antioxidants will soften your skin, lemon juice for brightens, and sugar will exfoliate it. 4. Excellent vision. Eating two servings of the fruit each day may lower the risk of degeneration of macula related to age, the most common cause of vision loss in older adults, by 38 percent. 5. Healthy heart. Eating five or more servings of blueberries every week may help decrease a risk of heart attack in women. 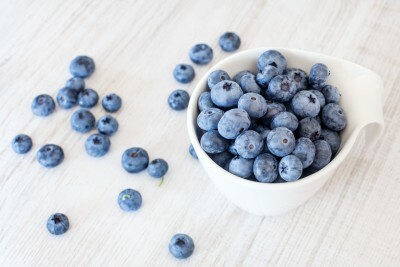 Blueberries contain high levels of compounds that may help arteries in dilatation, which helps the plaque buildup and generally causes heart attacks. 6. Lowers blood sugar. Being one of the low-glycemic index fruit it has a beneficial impact on blood sugar regulation in persons already diagnosed with diabetes. Consume at least five servings of low-glycemic fruits each day and you will see significant improvement in your regulation of blood sugar over two months. 7. Cancer preventer. Anthocyanins which give blueberries their blue color attack cancer that causes free radicals and can even fight the growth of tumor cells. All you need to do is just eat a slice of pie or a half-cup every day. 8. Bladder aid. Blueberries such as cranberries contain little compounds that prevent bladder walls from bacteria adhering to and help to get rid of urinary-tract infections. So if you get urinary-tract infections go ahead and toss into a handful of blueberries. 9. Vanish belly fat. 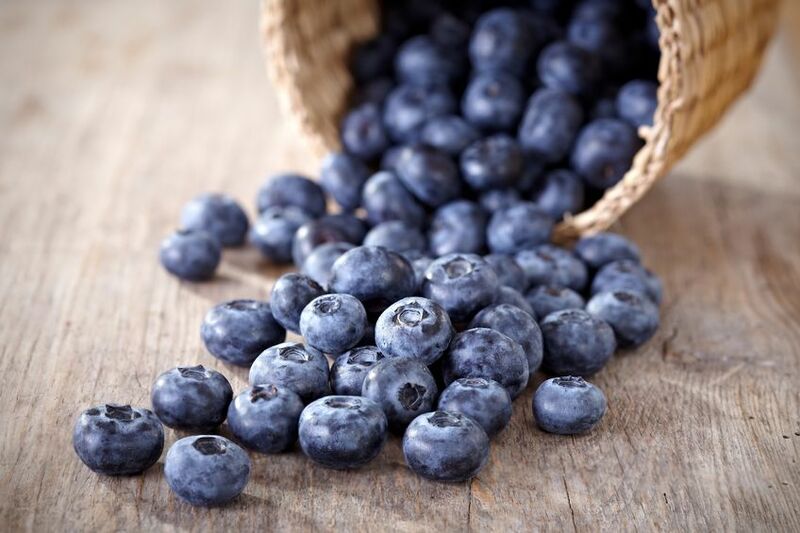 The polyphenols found in blueberries break down belly fat, and decrease the metabolic syndrome risk factors. Blueberries also contain very low calories fewer than 110 for a full cup. So start to eat them! 10. Fighting constipation. A cup of raw blueberries contains about four grams of fiber, or over 14 percent of the recommended daily dose. 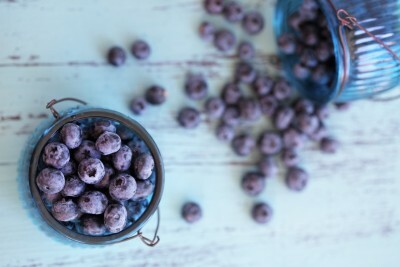 The soluble fiber that is presented in blueberries can absorb 11 to 16 times its own weight in water, drawing fluid into your intestine and increasing bowel peristaltic. 11. Bone health. Blueberries involve high amounts of manganese the ones that play an important role in bone development. So if your son loves blueberries be sure he has significantly more bone mass than his friend whose ration is blueberry-free.